It was 3:20 AM. I was tossing and turning. I had been up for 20 minutes already but hadn’t wanted to open my eyes. I have this weird theory about keeping your eyes closed in the middle of the night. I think its easier to get back to bed if you never actually open your eyes. Besides being easier, you don’t become fixated on the clock. Unfortunately on this night I made the mistake of opening my eyes. It’s now 3:36AM and all I can think about is trying to fall back to sleep. My mind was racing and I couldn’t sleep. Being an entrepreneur is stressful. There are ups and there are downs and its fair to question your every move. Over the years, and various products or sites we have built, I have learned a ton of lessons. I am thankful for the lessons I have learned. It’s helped me focus on what I enjoy and more importantly shown me what I don’t. On this particular sleepless night, I had this vision of writing an eBook. 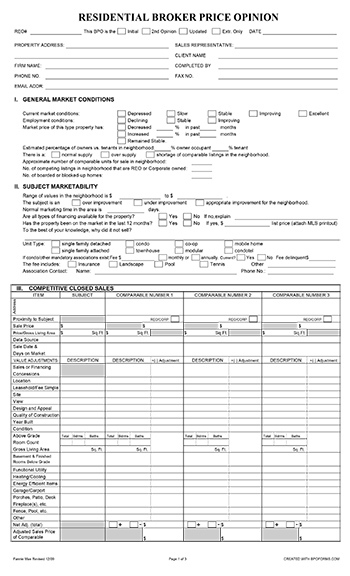 One of our products helps real estate professionals fill out a valuation form online. The form is a broker price opinion. Over the years, as part of our real estate business, we have completed over 1000 BPOs. A BPO is an opinion of value for a particular piece of property. This is the complicated form I was writing an ebook about. The form is lengthy, detailed and rather intricate. There are things that don’t make sense, and its not straightforward. We created a software solution to let people fill out the form online. Its simple to use and they can email the forms to their client. The software is great and we have hundreds of users generating these forms daily. Before writing an eBook, we weren’t providing any instructions. We had nothing for our users explaining how to fill out the form. The form is complicated. We would receive an email, once a week, from a users. They all were asking us how to fill out the form. More specifically they wanted to know what to enter in each section or field. Without spending too much time, we would respond with tidbits of advice. We did this over and over for 2 years. At 3:22AM in the morning a light went off in my head. I don’t know why we hadn’t thought of it sooner. Why couldn’t I just write a simple step by step guide on how to do a BPO. I didn’t need to commit to anything formal. I wasn’t planning on writing an eBook. I would go step by step through the whole form and then explain each section. I would describe how we fill the form out. I would touch on tricks we use along the way to get the BPO completed quickly and accurately. If all went as planned, I would put the eBook up on the site for sale. We would point the people asking for help to the eBook. Maybe we would sell 1 or 2. The information was in my head already so what was the harm. I figured I would try writing an eBook. I tossed and turned the rest of the night and came in the next morning ready to go. I’m not sure what I had planned to do that day, but it didn’t matter. The beauty of being your own boss is that you can decide what you are going to do. I told Bob my plan and we validated the idea. I sat down at about 8AM and by noon I had it half done. I couldn’t believe the speed that I was writing an eBook. It didn’t feel like a lot of work. 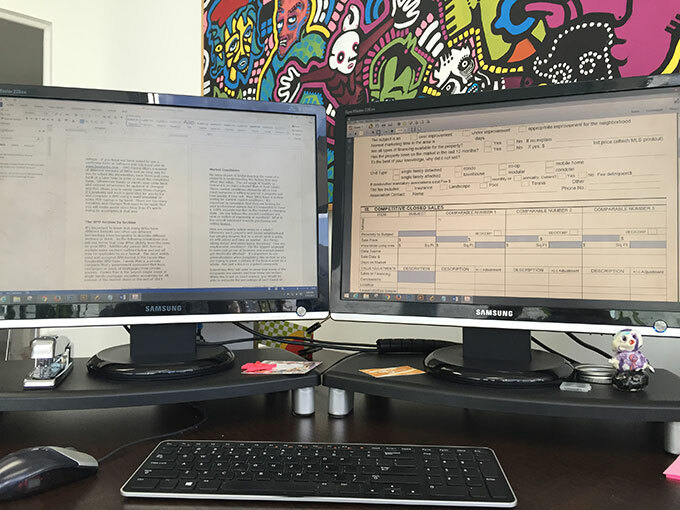 I had the form open on one screen and Microsoft Word on the other. I was going down the page and writing about each part. I didn’t have to think about what to write about because it was there in front of me. I saw the section name and went. I wrote a couple hundred words about each section and moved on. By the end of the day I was done. I looked down at my document and realized that I had written far more than I ever anticipated. I had written 10,000 words in 24 hours. It was enough to put together a full book but without realizing it, I was writing an eBook. I spent another hour or two filling in the missing pieces. I needed some basics about BPOs and some minor filler sections to finish it off. What amazed me was the speed that I was able to get the content down and move forward. We published the eBook on our site a couple of days after that. We changed our subscription confirmation email to upsell the book and we waited. Since then we have sold hundreds of this ebook and continue to sell 1 or 2 a week. We sell the book for $29.99 which comes out to another $150 to $200 a month. Its not a boat load of money but its recurring and no further work is needed. When writing an eBook in 24 hours its not going to be groundbreaking. In our case it certainly gets the job done. We filled a need and people are thankful. The book is comprehensive and saves hundreds of people lots of time. I have done a lot of thinking about writing an eBook. I have since written another book about [ How to Start An Online Store ]. This book was months in the making and was completely different. It’s far more extensive. The eBook covers everything beginners need to know about starting an online store. 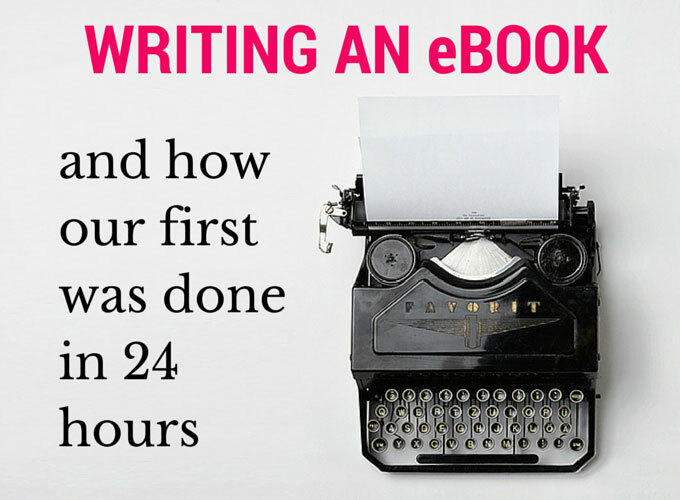 The lessons I learned from writing an eBook in 24 hours were priceless. Writing it helped me approach this new book in a more organized fashion. You need to create an outline when writing a non-fiction book. Let me explain further. Writing an eBook may sound like a daunting task. It’s not when you break it all up into bite size pieces. Start with the important top level subjects and write them down on a piece of paper. Then write down more specific detailed topics for each of those subjects. Don’t worry about the order or the big picture at this point. Just put down any subtopics that come to your mind. If you were going to write about Disney World, you want to think about a nice way to break it up. I would start maybe with the different parks. 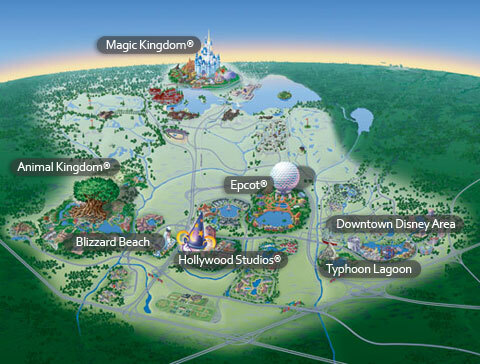 Maybe you have Epcot, Magic Kingdom, Hollywood Studios, Animal Kingdom, etc. Once you have your top level categories, think about the sub-levels within them. Maybe you have Food, Rides, Shows, Tips, etc. So when you sit down to write a book about Disney World it can seem overwhelming. Now what if you had to write only about the food at Animal Kingdom. This is far more manageable. The reason I was able to write that first book so quickly is that I was just writing little sections. There was an organized outline of exactly what I had to write about. I didn’t have to think about what I was going to write about next. I just looked down the list and wrote about the next bite sized item. I wrote a paragraph or two about that section and moved on. The other beauty of this strategy to writing an eBook is that you can jump around. Don’t feel like writing about the next thing on your outline? Skip it and go on to the next. You can write about it later. 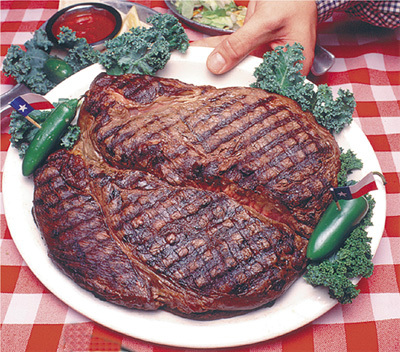 If you can eat this 72 oz steak its on the house at The Big Texan. I always find that looking at the big picture can often be overwhelming. Everything an be broken down into little pieces and be easily managed. Its like the disgusting enormous steak 72 oz steak sold at The Big Texan. If you can eat the whole thing its free. I don’t think anyone can eat the whole thing without breaking it into pieces. The analogy though is just to show you that when you take a huge task an break it down you can accomplish amazing things. I never thought that writing an eBook in 24 hours was feasible. Looking at each section individually, and approaching it one-by-one makes it feasible. It’s the same way I was able to help my wife launch her online store in a month. We created a “starting an online business checklist” and banged the tasks out one by one. So the next time you think you can’t accomplish something, think again. Contemplating writing an eBook. Get a plan. Make an outline, and start tonight. 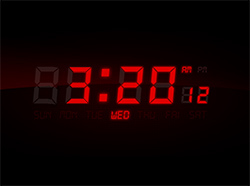 Hopefully if you start now, you won’t be up at 3:2o in the morning like I was.